TEN GALLERY is pleased to present, Nature of Daylight, an exhibition of New Orleans-based artist Peter Barnitz. For his fourth solo exhibition at the gallery, Barnitz reveals his latest series of contemplative and Reductivist mixed media paintings. The artist spins intricate webs of pattern and color, which harness a sense of space and dimension. Barnitz's mixed media paintings on canvas encourage a dialogue between organic form, geometric structure and abstract landscape. The exhibition opens March 4 and runs through March 26. An artist reception will be held from 6 - 9 p.m. on Saturday, March 4, 2017. Inspired by nature, light and life, Barnitz creates visually complex, deeply meditative abstractions that combine the notion of movement with an appreciation of the schematic. 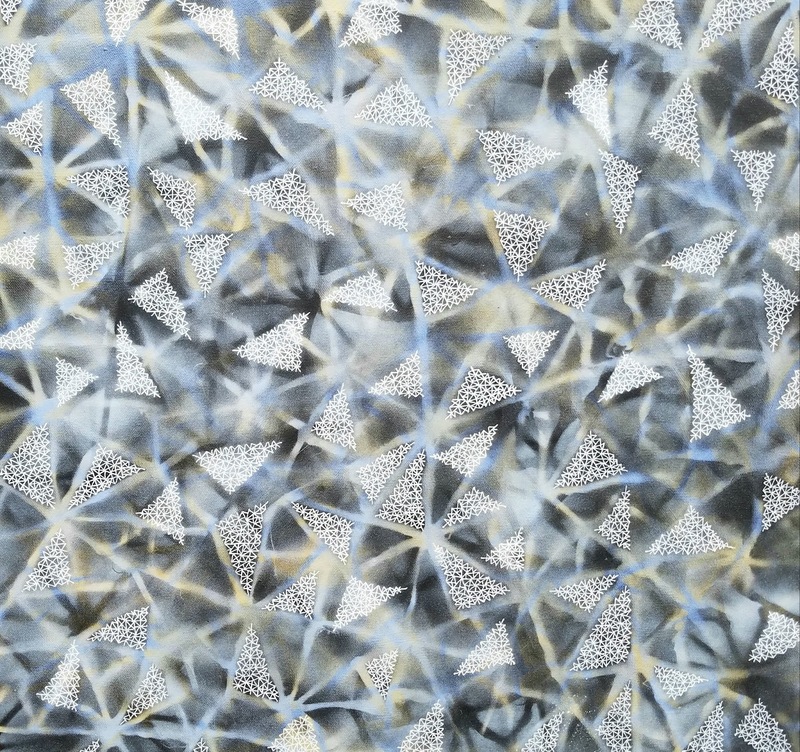 Delicately rendered, utilizing interwoven and playful geometric clusters, Barnitz’s paintings emphasize the passage of time, the mesh of nature and the poise of the human spirit. Peter Barnitz, originally from Metairie, LA, earned his BFA from Loyola University of New Orleans (2004) and MFA from the University of New Orleans (2011). Currently living in Kenner, LA, Barnitz is the founder of the Barnitz Academy of Fine Arts and art director and artist-in-residence at Kenner Discovery Health and Sciences Academy, as well as, the chairman of the Kenner Rivertown Arts Council. His work has been exhibited nationally and internationally in more than 40 group and solo shows, including the USC Upstate Gallery on Main in Spartanburg, SC, the 2016/2017 Art Fields Exhibition in Lake City, SC, the 2015 Bombay Sapphire Artisan Series Finale at SCOPE Miami Beach, FL and the 2015 Exposure Nature Collection Exhibition at the Musee du Louvre, in Paris France. Please join us on Facebook (@Peter Barnitz Art), Twitter (@BarnitzArt), and Instagram (@barnitzart) via the hashtags #barnitzart, #natureofdaylight, and #tengalleryNOLA.